JAX Theatre has it’s own adaptation of this classic tale. Jordan Nickles is the creative mind behind the characters and the song lyrics in his adaptation of Hansel and Gretel: The Musical. If you have followed JAX over the last 4 years you have seen Jordan transform himself from a “young Scrooge” to the “elder Scrooge” for A Christmas Carol: The Musical. For this, we need to start from the beginning. 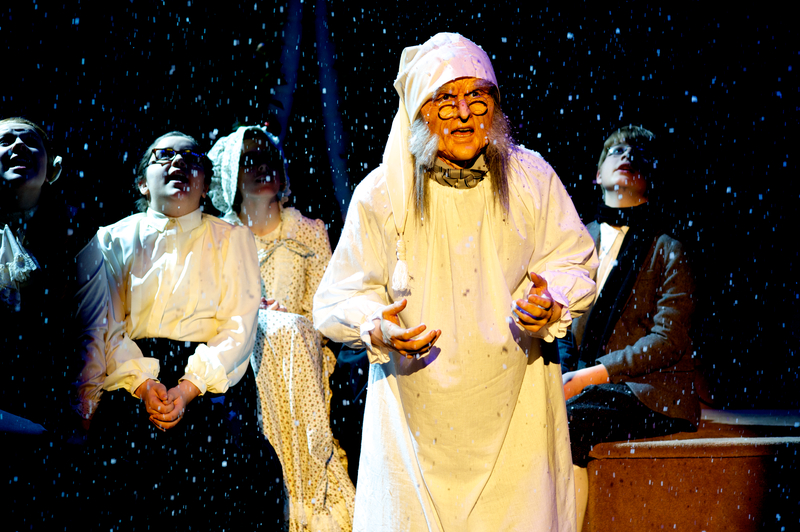 In 2011 JAX Theatre had it’s first production of A Christmas Carol: The Musical. 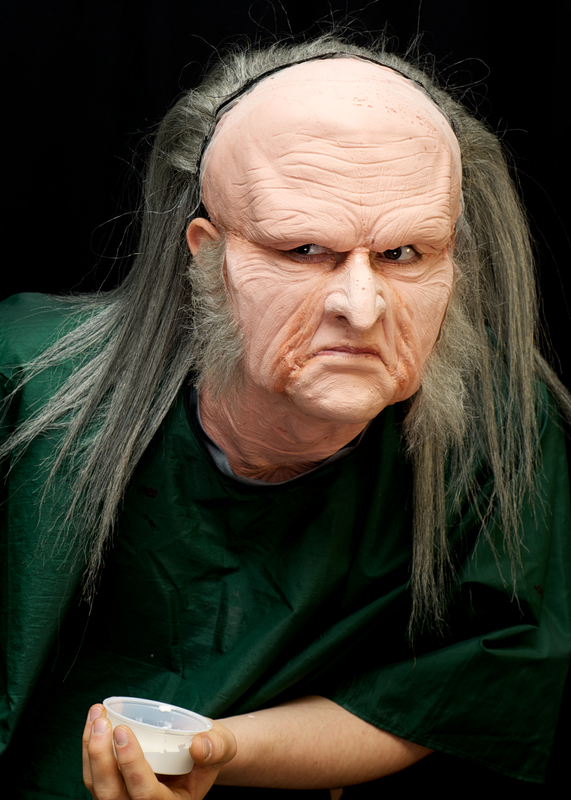 Nickles portrayed “young Scrooge”, Marley’s ghost, and Ol’ Joe. 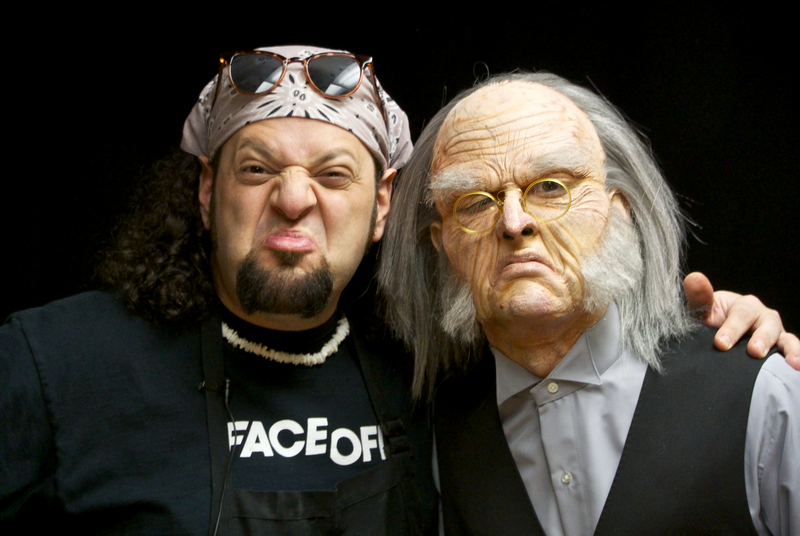 Marley and Ol’ Joe required extensive make-up applications and removals between scenes. 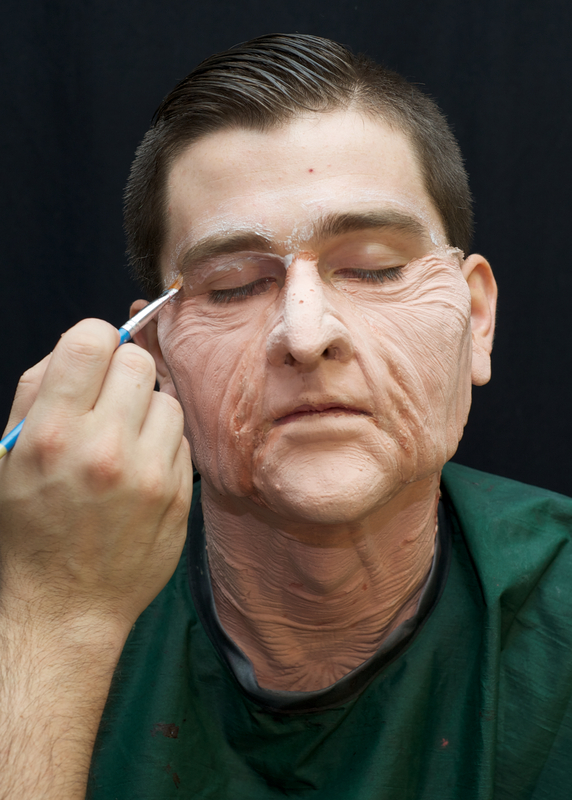 Jordan designed his own make-up for the parts and applied and removed one character’s features to transform himself into another character. Jordan brings such energy to his performances and each production is bigger than the previous. 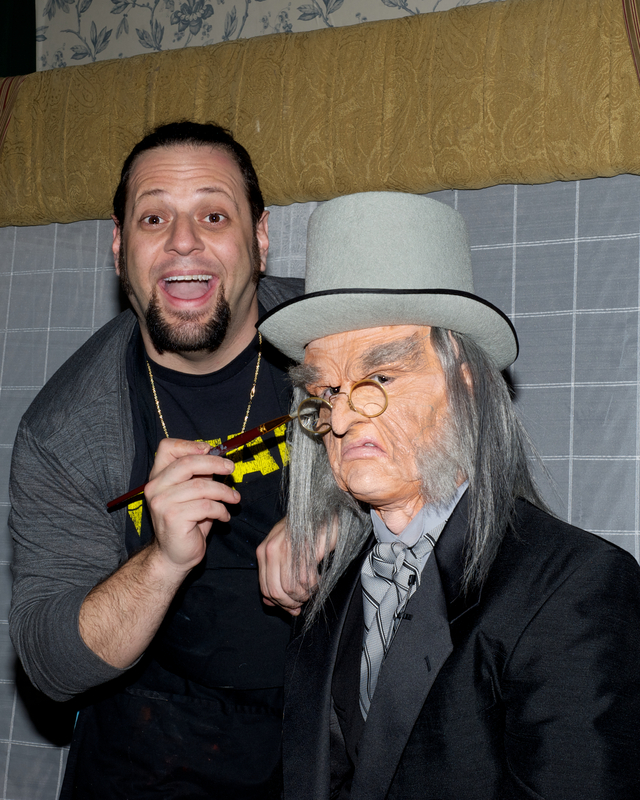 In 2012 and 2013 JAX brought in the talent of RJ Haddy to transform Jordan into the “elder Scrooge”. 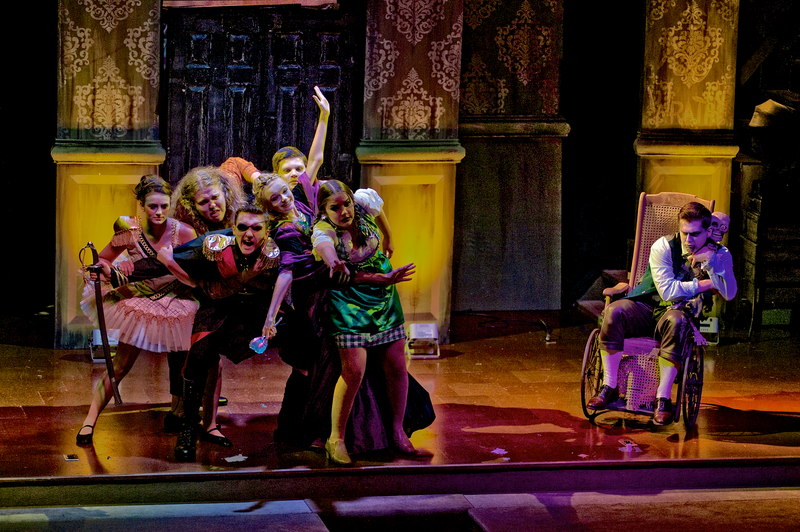 (See blog post:https://pamdecampphoto.wordpress.com/wp-admin/post.php?post=101&action=edit) Other plays produced by JAX Theatre have been Steel Magnolias, Sleepy Hollow, and Alice’s Wonderland. 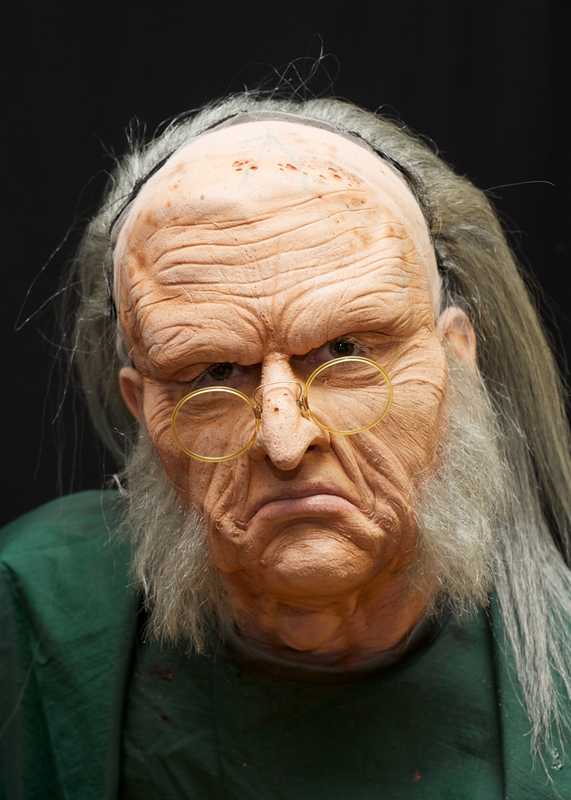 In 2013, not only did Haddy transform Jordan into Scrooge he applied his creativity to transform actors into Christmas Past, Christmas Present, and Marley’s Ghost. 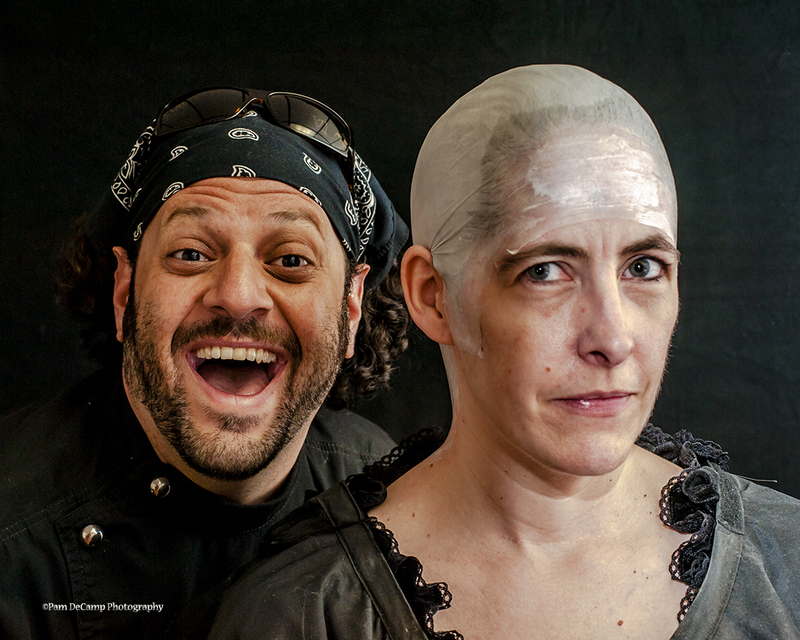 For the JAX production of Hansel and Gretel: The Musical, RJ Haddy’s talents were called upon again to transform the lovely actress, Eva Martin, into Beatrix the Witch who lures the Hansel and Gretel into her home. Eva was thrilled with the opportunity to work with RJ. 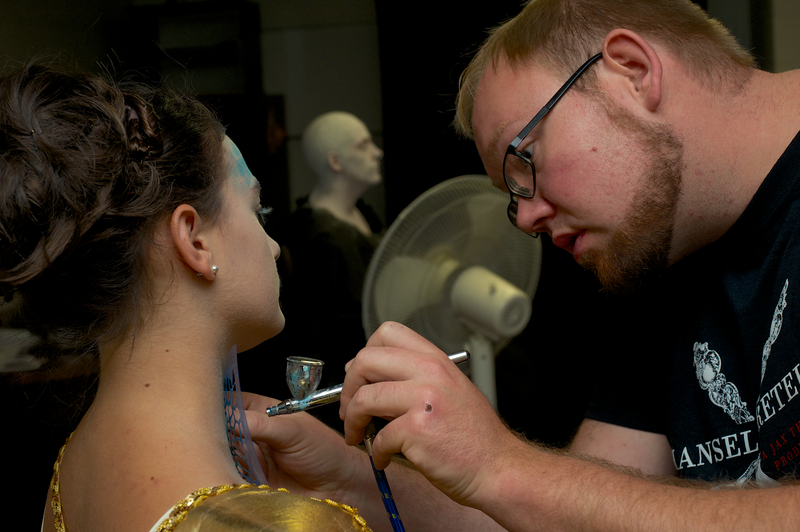 During the time in the make-up chair Eva sat very still and RJ was amazed at her patience while he glued, sponge painted, and airbrushed her features on. The process began with Eva having her beautiful locks of hair covered with a bald cap. RJ & Eva during the bald cap application. RJ applied a layer of white on Eva’s face. He used his signature Shadow airbrush to apply the contours and fine details to give her face dimension and depth. RJ adds contours to Eva’s face to give her character dimension and depth. 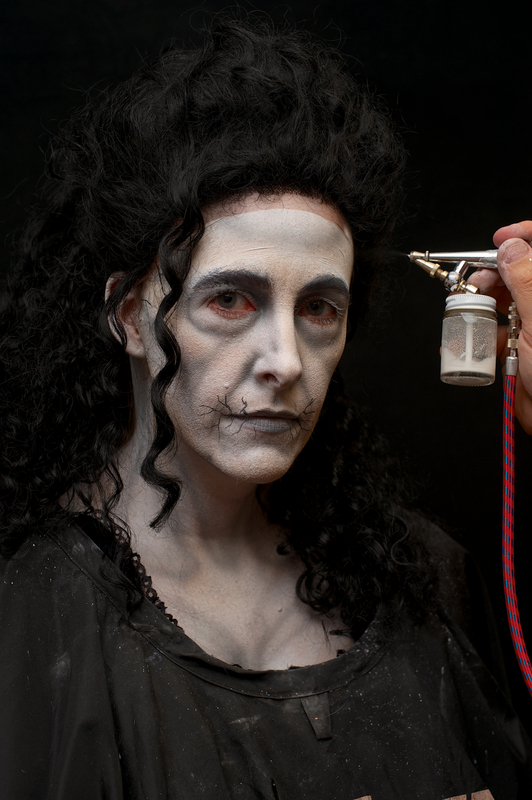 During the play the Beatrix takes on her own transformation so cracks are painted onto her “skull” and some of Eva’s own hair is pulled through the bald cap to add to the witch’s realistic appearance. After all Beatrix is 900 years old! A long flowing wig was added to complete the look. RJ touches up around the wig so it blends with the rest of the make-up. RJ adding highlights to the wig. When RJ is working he attracts on-lookers. These are not they typical on-lookers though. 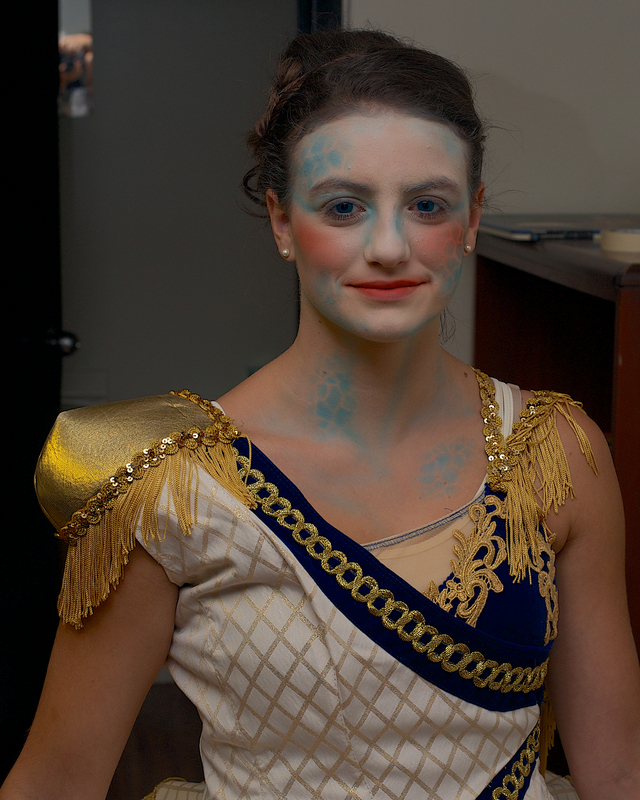 Stacey Morrison and her fiancé Jerod Walker both enjoy crafting sets and experimenting with special effects make-up. They helped to design and build the set for Hansel and Gretel plus provided make-up design for the ballerina Petra. 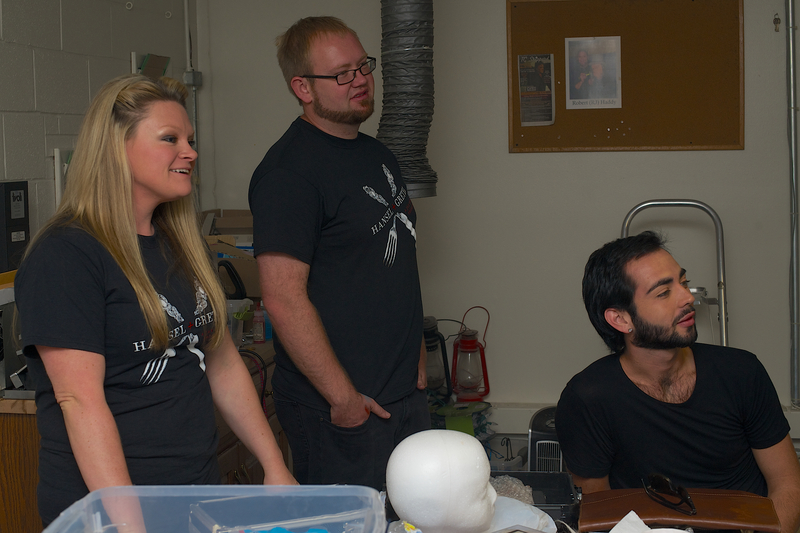 Stacey Morrison, Jerod Walker, Edward Warren watch as RJ transforms Eva into Beatrix. Below Jerod provides his talent to bring Petra to life. Below are scenes from Hansel and Gretel: The Musical. 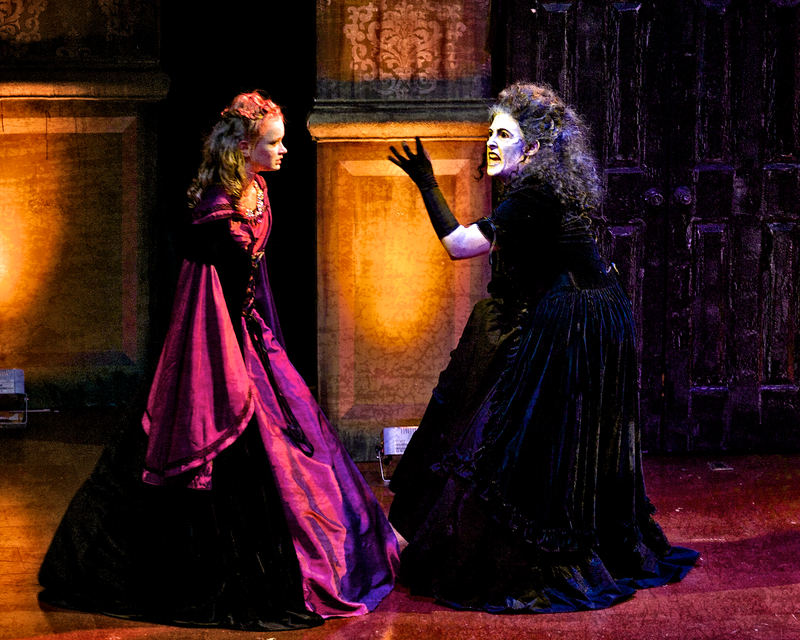 Beatrix gives Rosalinde (Baylee Martin) her opinion on Hansel and Gretel’s fate. I know this is a late update to the Christmas season, but I felt it was worth publishing. 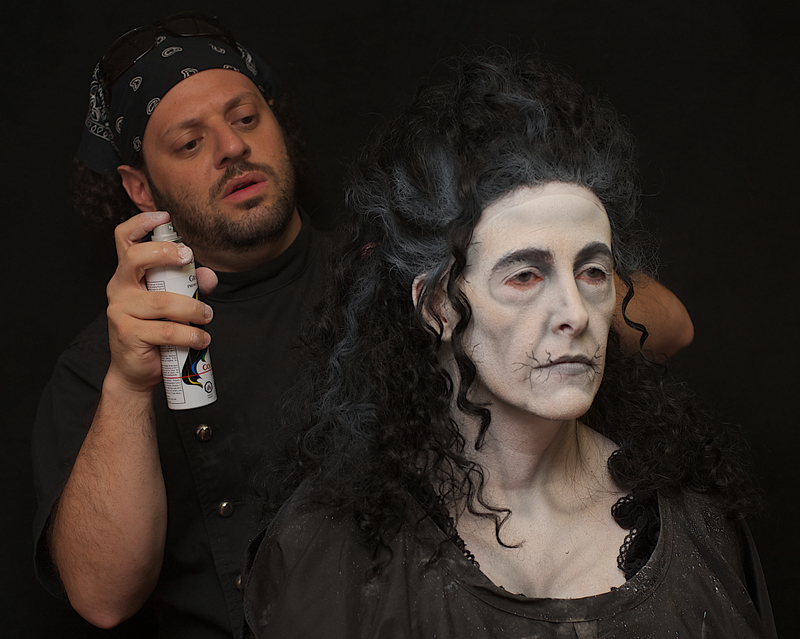 I had a wonderful opportunity to photograph the special effects make-up process of RJ Haddy of RADFX Company in Charleston West, Virginia. 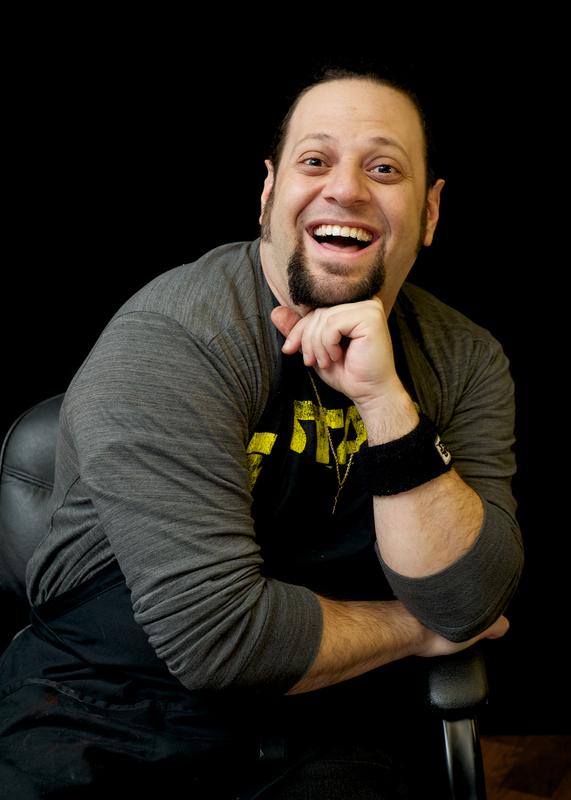 For those of you who are not familiar with RJ’s work, he was a finalist and fan favorite on the SyFy Channel’s second season of Faceoff. RJ (pictured below) came to Wheelersburg, Ohio to transform Jordan Nickles, a 19 year old actor, in to the elder Ebenezer Scrooge for JAX Theatre presentation of A Christmas Carol: The Musical. 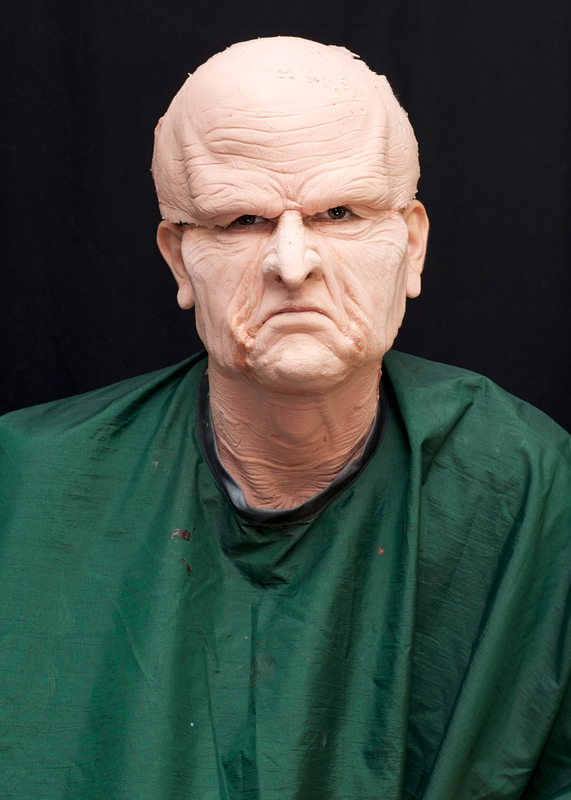 RJ, in the weeks preceding the play, had taken a plaster mold of Jordan’s face so he could design the foam latex mask to apply to Jordan’s face to make him look “old”. Below is Jordan. The mask was a 6 piece foam latex prosthetic that was applied one piece at a time and then the “seams” were glued and blended together so it would appear as one piece. 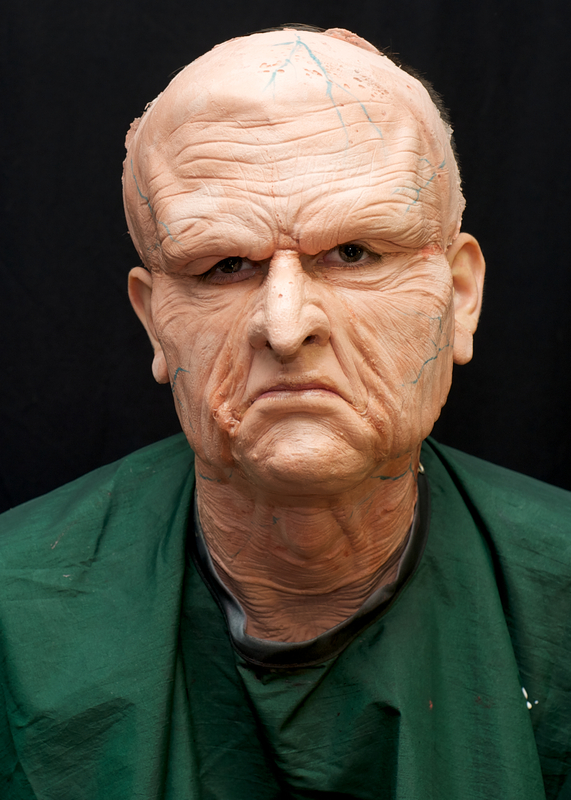 The “mask” moved naturally with Jordan’s facial expressions and was very realistic in appearance. 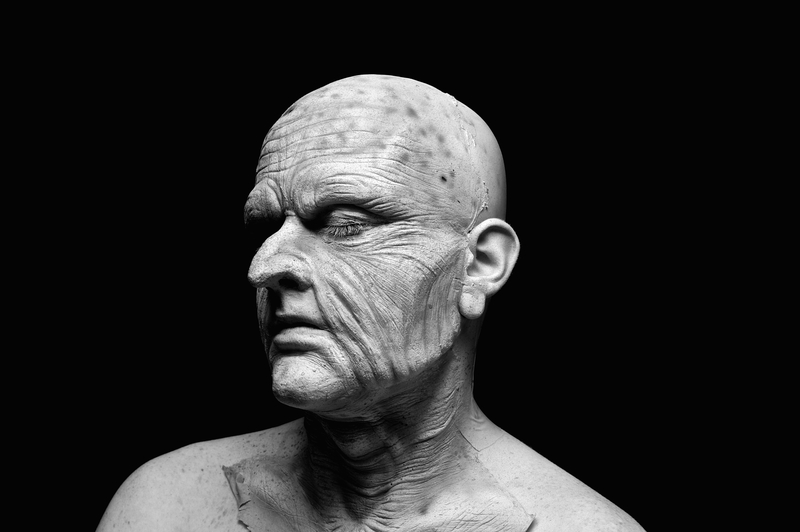 Veins and age spots were added to make the skin appear more realistic. The following sequence is the application of the hair, eyebrows, and sideburns. I enjoyed, very much, photographing and video taping this process. RJ is a wonderful to work with. 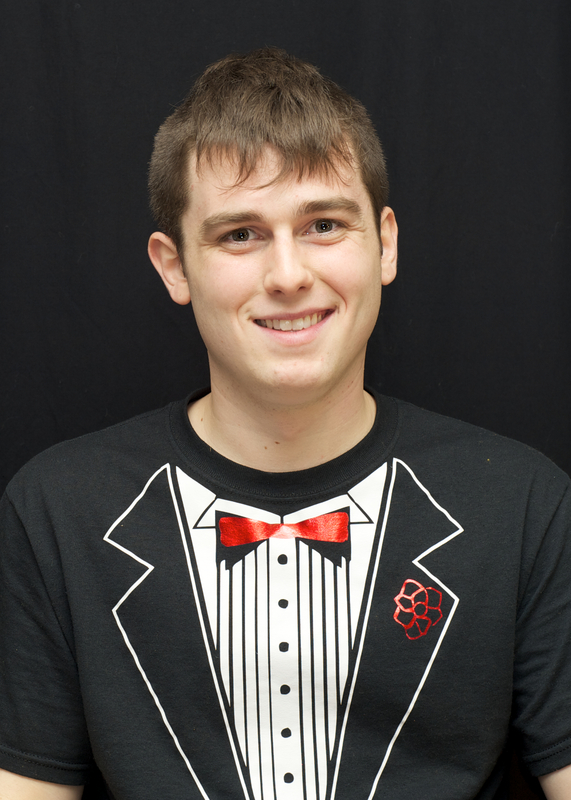 Jordan is a very bright and talented young man and he has made JAX Theatre a wonderful establishment and had brought a variety of cultural experiences to our area. Jordan and RJ posing and showing off the final results. I have to include one more shot…This is my favorite shot of the two of them. I hope you enjoyed this visual journey of The Making of Scrooge. This was such a fun assignment that I hated not to share it with everyone. Stay tuned for my next adventure!